"Challenged a Witcher? Must have had a death wish..."
The legendary White Wolf returns! Geralt of Rivia steps on to the Stage of History in SoulCalibur VI! Wielding his signature steel and silver swords, Geralt is prepared to take on any opponent (man or monster) who dares cross his path. Both witcher swords are made of the finest quality alloys and precisely crafted to suit the needs of their wielder. While we don’t yet know why Geralt has entered another dimension, he was able to bring his weapons with him on the journey. The world he now finds himself in is filled with new foes and plenty of opportunities to fight! On top of his swords, Geralt enters the ring armed with powerful Signs. 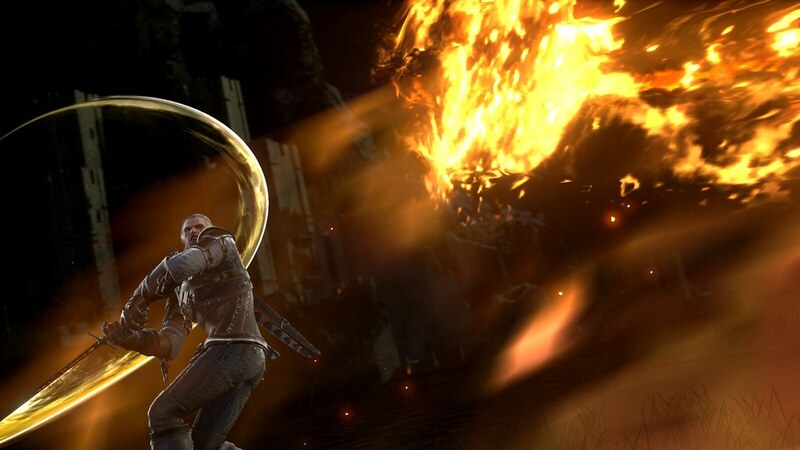 From Aard to Igni, Geralt has the ability to unleash the devastating effects of Signs during one-on-one combat. Each Sign provides a different strategic opportunity to best your opponent or start powerful combos. 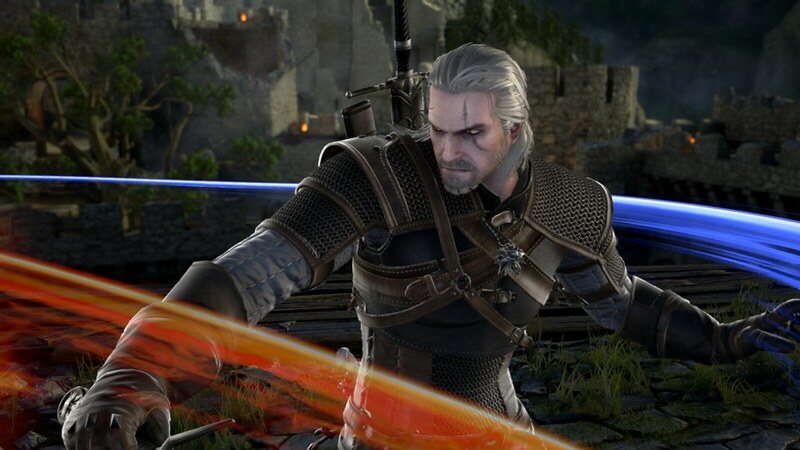 Geralt felt like a natural fit for the weapon based combat of SoulCalibur VI and the development team has worked meticulously to accurately depict his character in game. His swordplay and use of signs has all been balanced to mix seamlessly with mechanics like Critical Edge and Soul Charge. 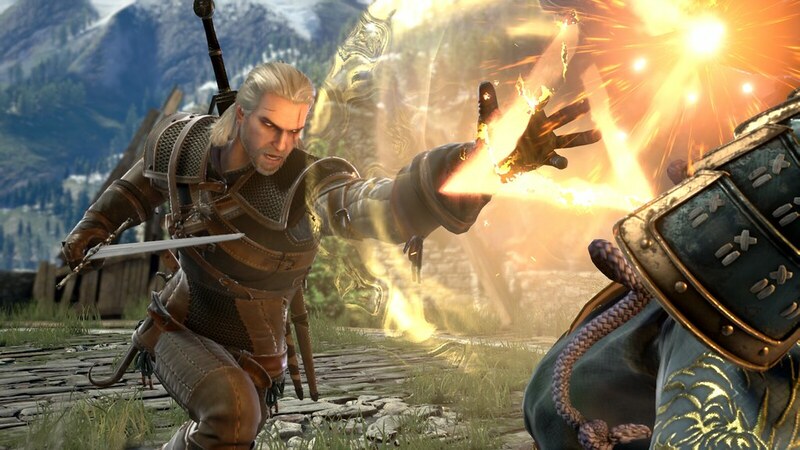 We all can’t wait for both Witcher and SoulCalibur fans to harness the mutagen fueled power of Geralt of Rivia when SoulCalibur VI arrives on PlayStation 4 in 2018! Heck yeah! Now can we get some Bayonetta added too? Can’t wait for the Vita version, Beyond! Please add characters Ellie and Crash Bandicoot next. Just kidding ;) the game is looking good. I am looking forward to SC VI! BUT after SC V, which was a huge step backwards, this is definitely not a day one purchase unless reviews are absolutely glowing. It’s too bad that they haven’t stepped backwards in the right direction with a re-release of IV. Who wouldn’t love to see SC IV remastered for PS4? As much as Geralt rocks the Witcher world, he can’t lay a sword, steel or silver, on Vader and Yoda. Couldn’t believe ma eyes earlier today when ma brother showed me this.This was totally unexpected and at the same time so damn awesome…Geralt fits perfectly in the game.I gotta say now I don’t even care about Taki anymore,game was already going in the right direction but Geralt alone makes SC6 worth the buy…gonna make him ma main definitely lol. 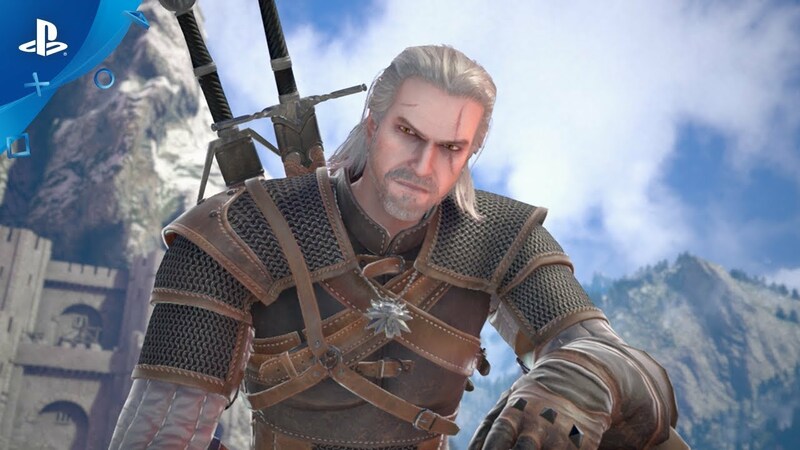 Gotta clap to the SC team cuz in terms of guest characters you guys are the best.1st Yoda and Darth Vader then Kratos,Ezio and now Geralt.Amazing simply amazing choices.